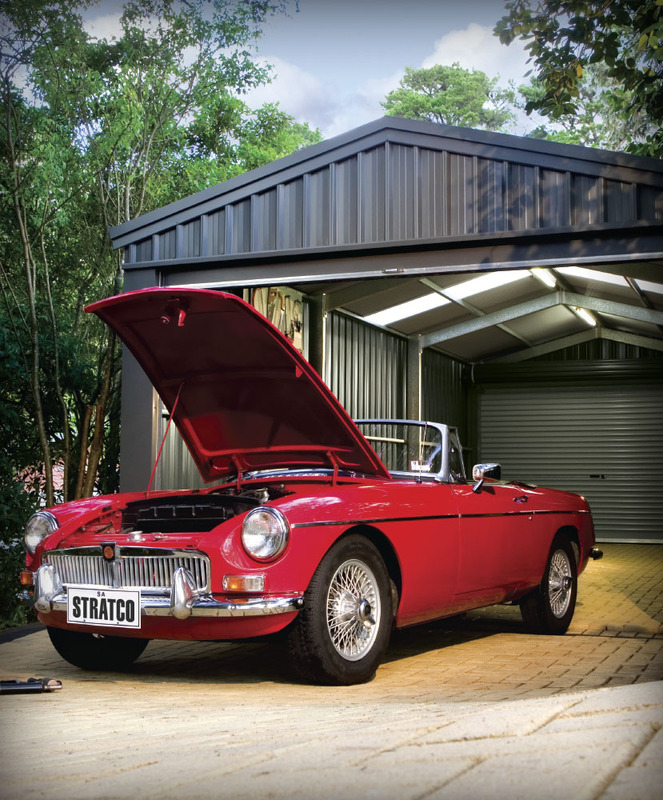 Form and function come together in the classic shape of the Gable Homeshed™ Garage. Featuring an extremely practical pitched roof, the Gable Homeshed Garage range takes full advantage of the floor space available. 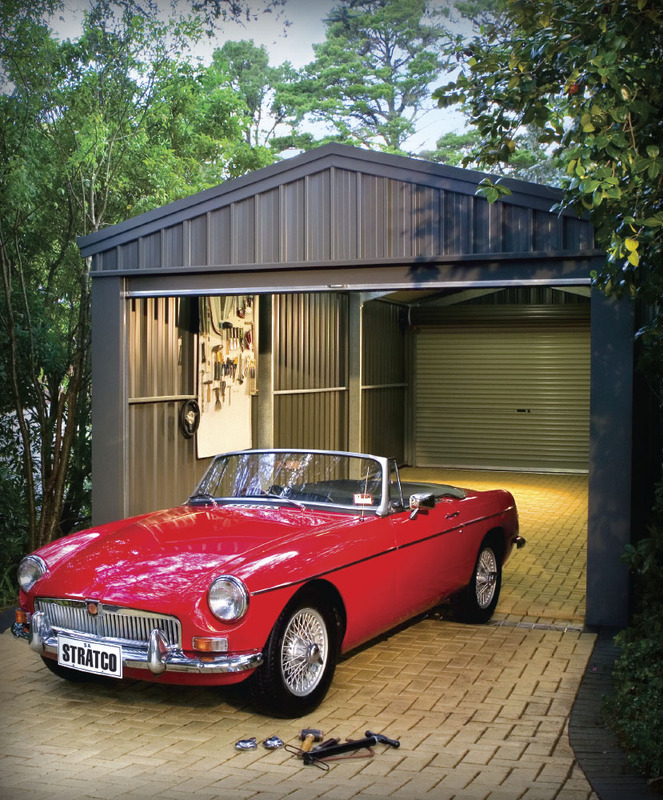 Designed with the timeless appeal of a 15 degree pitched garage roof. The gable roof delivers the benefits of a self-cleaning shape on the outside with increased storage space and minimised heat build-up on the inside. 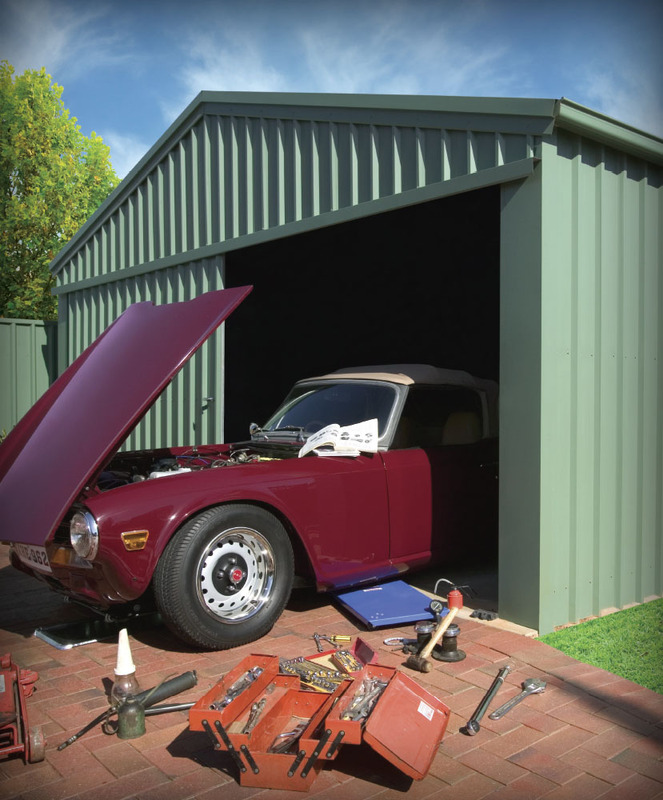 Hard-wearing and durable, colour or zinc/al, Superdek® steel sheeting is used on the garage walls. The 28mm high ribs in the Superdek profile make it extremely tough. 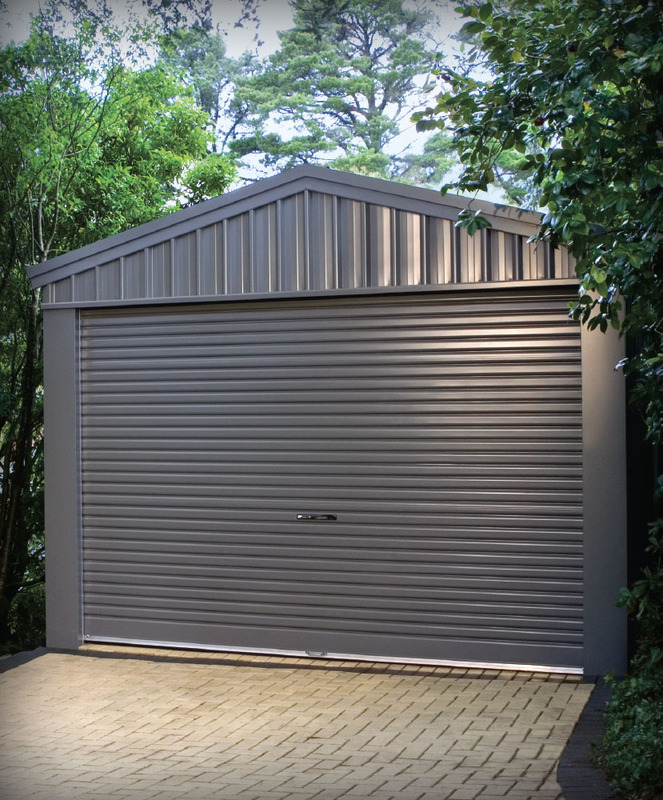 Attractive and traditional, colour or zinc/al, Corrugated steel is used for the roof cladding. 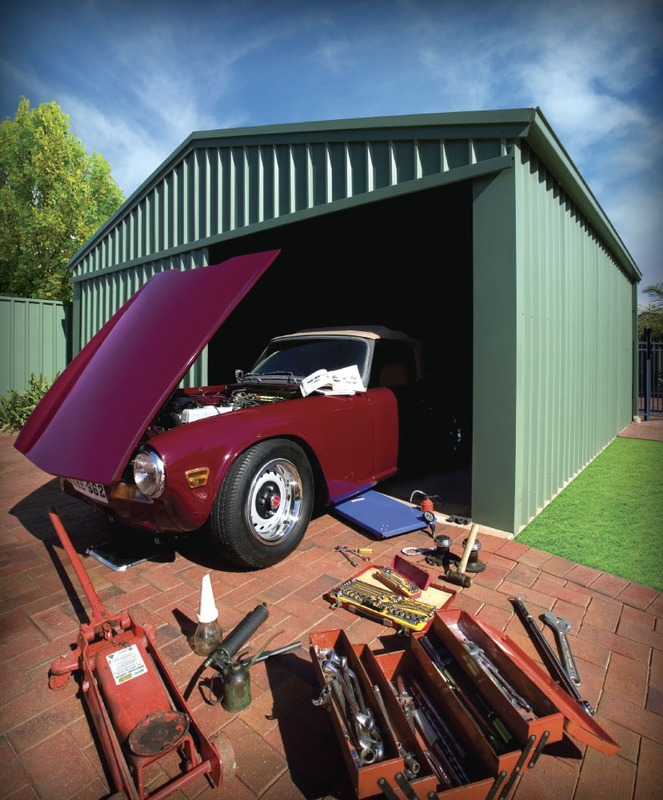 Cyclonic Gable Homeshed garages use tough, galvanised and welded C-section beams to construct the frame. 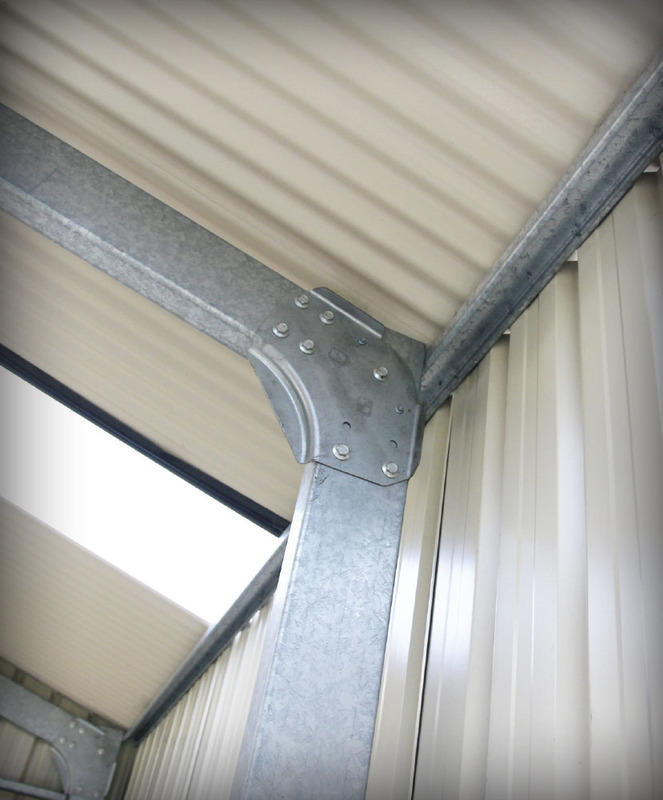 All components are galvanised for a long useable life. Designed to protect your investments in severe weather conditions, the Cyclonic Gable Homeshed is engineered and approved for use in Region C and Region D cyclonic conditions. This is your guarantee of structural integrity. Available in a range of sizes, with a height of 3.0 metres. 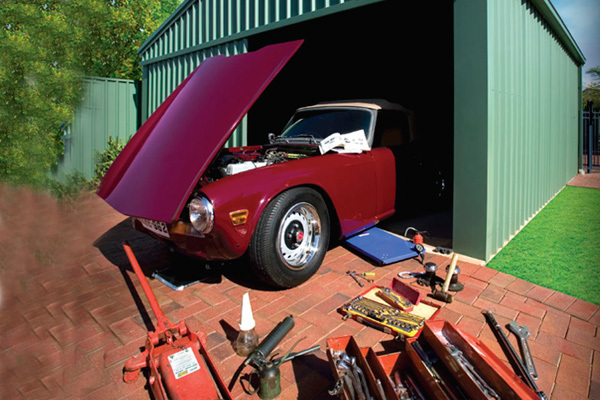 Longer garages are available by request in three metre bay sections. 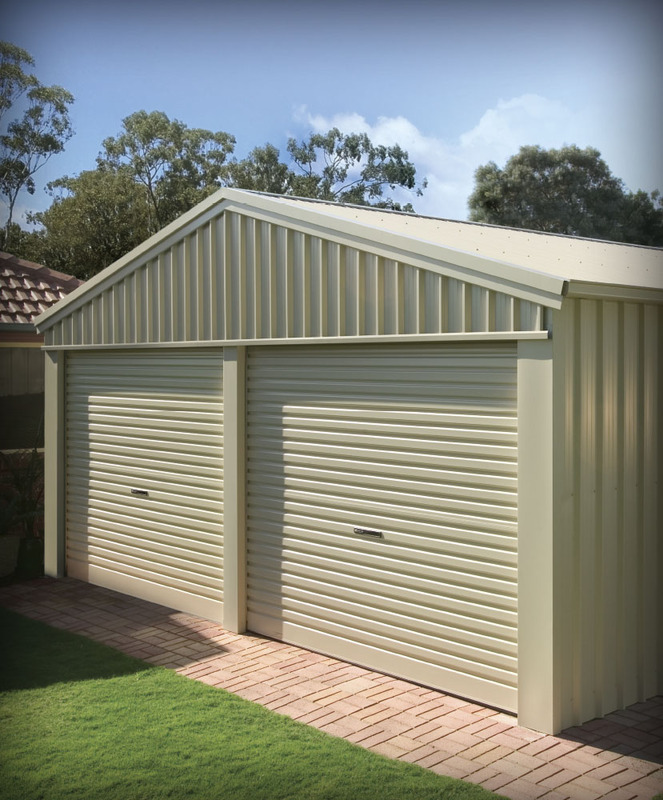 Create a garaport (carport) on either the front or rear gable end of the shed with the option of extending the roof in three metre open bay sections. 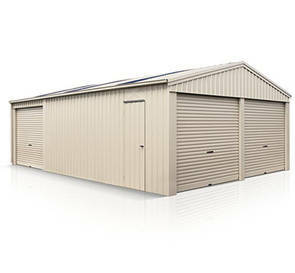 Region C storage sheds come standard with ‘single sized’ roller doors in the gable end. Multiple ‘single sized’ roller doors can be positioned on the gable end or gutter side walls for greater flexibility and shed accessibility. Gutters and downpipes are included as standard. Choose from a range of optional extras including a personal access door, louvre window with screen, 300mm spinning ventilator and a ventridge for maximised convection cooling. Choose from a range of sizes and two heights of 2.7 and 3.0 metres. Single or double ‘single sized’ roller door arrangements are available in the gable end. 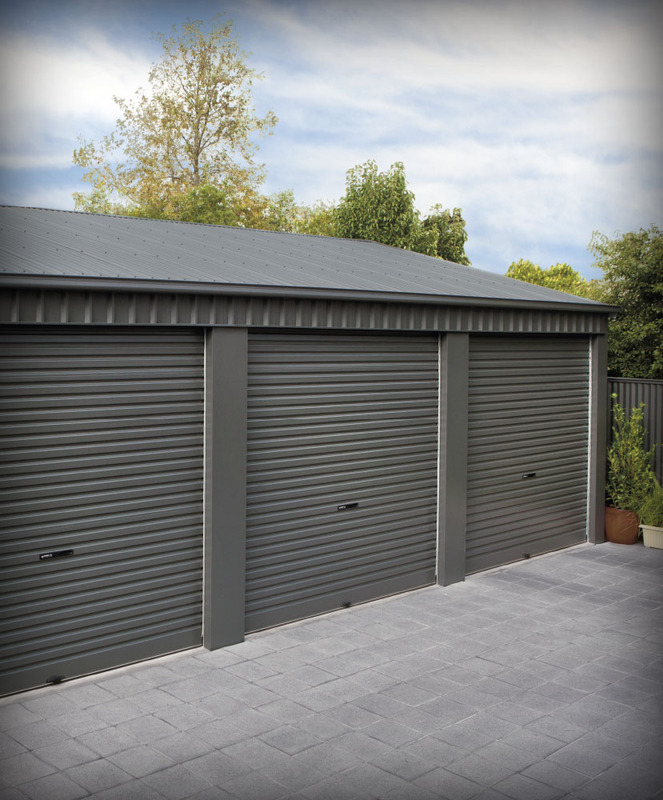 Standard features include roller doors, a personal access door, and gutters and downpipes. Engineered and approved for use in Region C and D, Terrain Category 2 areas in accordance with Australian standards AS/NZS 1170.2-2002. We can complete the installation of your new Cyclonic Gable Homeshed. Alternatively you can choose to install it yourself with a full set of installation instructions available for a do-it-yourself construction. Note: Width and length are measured to outside of the wall cladding. Available in a height of 3.0 metres. Available in either 2.7 or 3.0 metre heights. The extras listed below are only available for Region C (Northern Territory) Homesheds. 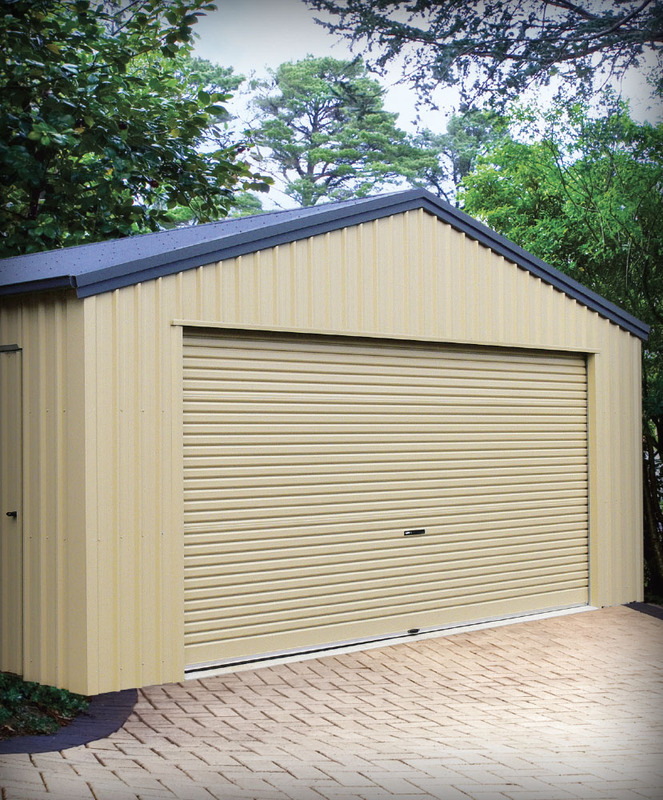 Longer garages are available by request in three metre bay sections. 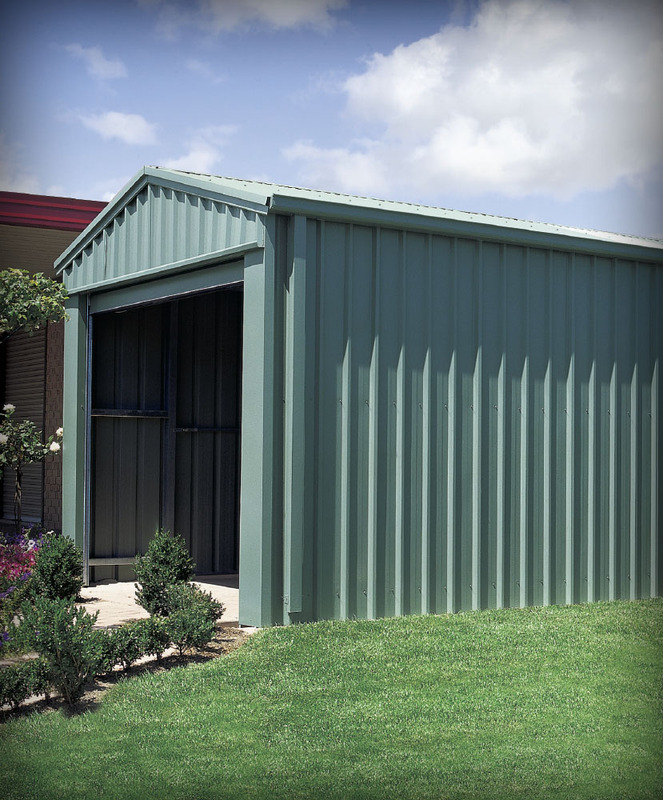 Create a garaport (carport) on either the front or rear gable end of the shed with the option of extending the roof in three metre open bay sections. 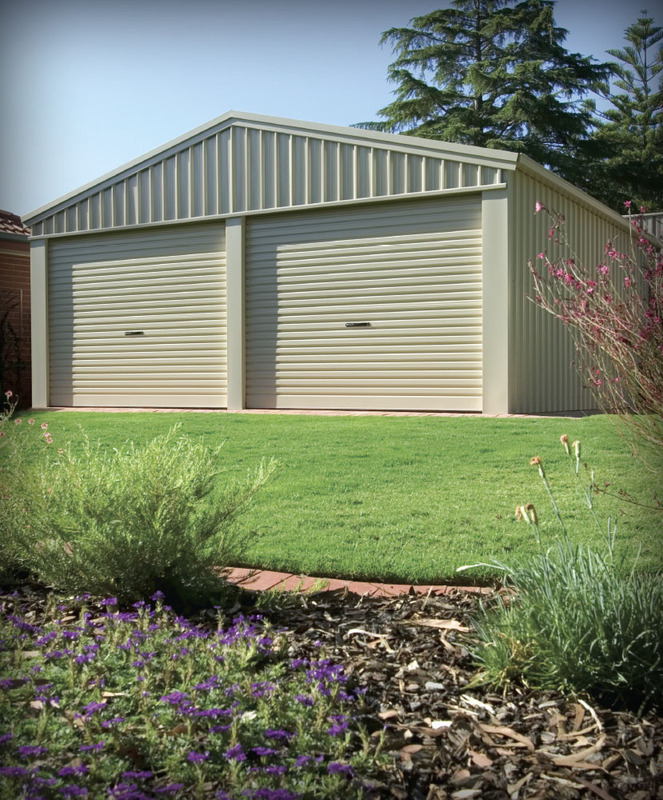 Multiple roller doors can be placed on the gable end and on the other walls. Five blade louvre window with a screen. Ventridge roof vent for maximised convection cooling. Available in either zinc/al or pre-painted colour steel.